Have you come across the times when have a stage before you, there are people around you performing, you have a voice inside you saying ‘Go, get up and perform’ , you have a whirlpool of thoughts in your head and you still you end up going home with an ‘if’. 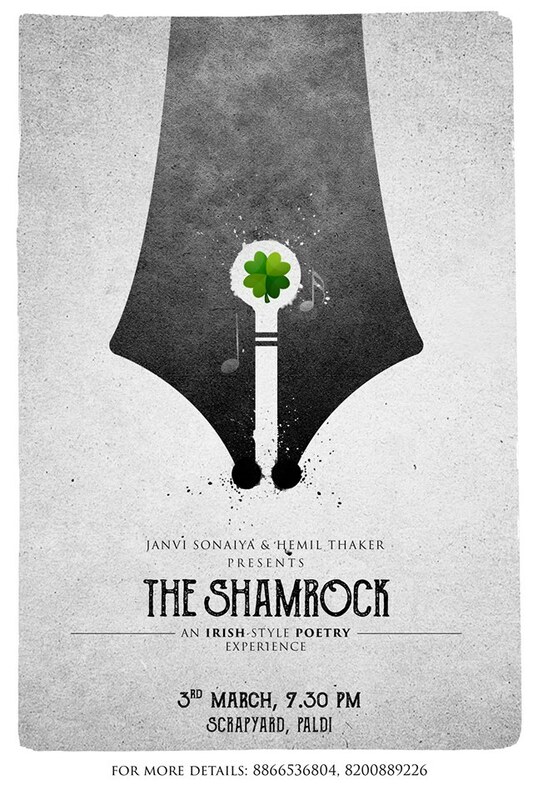 Having faced such moments, we at ‘The Shamrock’ bring to you a platform where we bridge the gap between performers and audience. After a performance we will obviously request you to cheer and applause the beauty of a rhyme, a way of expression but it doesn’t end there. You can bring your diary and some imagination and we will make sure that your couplets don’t remain on the last pages of your book. Together we will create an Irish experience.